I’ll turn 36 years old in June. 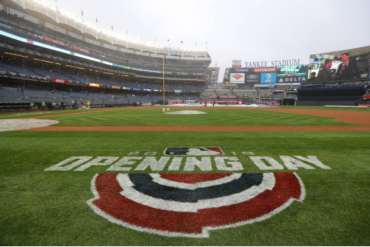 My earliest memories of Yankees’ baseball consist of Don Mattingly being surrounded by players like Alvaro Espinoza, Ken Phelps, Andy Hawkins, Steve Sax, Jesse Barfield and the list goes on of obscure baseball names that make you chuckle when said aloud. The late 80’s and early 90’s Yankees were bad baseball teams that threw up win totals of 74, 67, 71 and 76 from 1989 to 1992, but at that point in my life, I didn’t know anything different. I would hear and read stories about the glory-day eras and all-time great players like Ruth, Mantle, DiMaggio, Berra, Munson, etc., but these weren’t Yankees that I knew. I didn’t have playoff expectations year in and year out. I just enjoyed watching my guys compete while listening to Scooter, Seaver, and Murcer call the games on WPIX. The Yankees’ tide started to shift in ’93 and then began to swell in ’94 and ’95 when there was a more concerted effort to blend the young Yankees’ talent coming up through the farm with strategically acquired veteran players. For the first time in my Yankees’ fan-life, it felt like there was a long-term plan in place to improve my beloved team in the Bronx. The laughable, obscure names of the past were being replaced by guys like Key, O’Neil, Williams, Boggs, Jeter, Rivera, and Pettitte. There was chemistry like I had never seen before on a baseball diamond; the type of chemistry that makes rookies play like veterans and veterans play like kids. This must be what everybody was talking about when referencing the glory-day eras, I thought. This was a team that was having fun, playing well, and WINNING! The 1994 strike stole what could have been another great Yankees’ year as they were clicking on all cylinders with an AL best, 74-40. The team was fighting to get back to the playoffs after losing the World Series in 1981, while striving to propel Yankees’ Captain Don Mattingly into his much-deserved first playoff appearance. The plan was working, and Yankees fans were falling in love with this blended team of young and old. 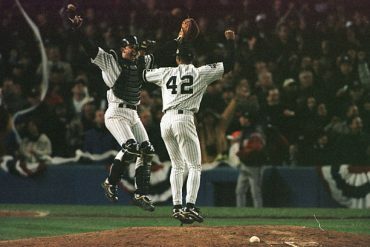 The 1995 season was the most bittersweet year that I witnessed as a Yankees’ fan, and that feeling has only compounded over the years. Mattingly, very obviously, was playing hurt due to his lingering back issues, which he battled to his first (and last) Yankees’ post-season appearance. Playoff baseball was back in the Bronx for many Yankees’ fans, and had arrived for the first time in my young life. Mattingly lead the charge with a young stud center fielder Bernie Williams, and guys like Jeter, Pettitte, and Rivera were starting to make their names known to the Bronx Faithful. The Seattle Mariners broke my heart in 1995 by ousting the Yankees and my idol, Don Mattingly, from the playoffs. I will never forget what that Seattle Mariner team did to me as a young fan, but with the arrival of Tino Martinez in 1996, I had to learn to forgive. Twenty years ago, the Yankees’ plan to blend carefully selected veterans with their finely tuned, home-grown talent had finally come to fruition. The 1996-2000 Yankees’ teams were special. They were special to the guys on the field and for the fans. These were the type of teams that we could get behind; teams that we knew gave everything between the lines. The veterans embraced the pinstripes and the great tradition that comes along with wearing a Yankees’ uniform. The kids were fighting for their lives to earn their pinstripes as well as the respect and admiration of Yankee Stadium. They had passion, they worked hard every single day, they believed in each other, they played selfless team baseball, and they expected to win every single time they stepped on the field – not because of arrogance, but strong confidence. The kids grew into super stars right before of our eyes, while carefully selected veterans played their immensely important roles, and the Yankees won Championships – lots of them. This year, as we celebrate the 20-year anniversary of the 1996 World Series Championship team, I look back and think about the architecture of that team and how the blueprint was a thing of beauty. But, somewhere along the line, the blueprint faded, became unreadable, and the Yankees turned away from their most important commodity: the farm system. 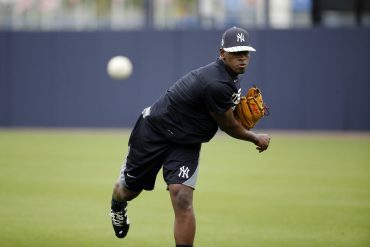 The most vital ingredient to those championship teams and the Yankees’ organization had become a significant liability. Until now. Today, we struggle through each game, watching this team put up zero after zero in the box score. We argue and get fired up about how this team doesn’t play with passion, can’t play good fundamental baseball, has too many aging veterans on the roster to sustain long periods of success, and painfully sticks with unproven veterans through (what feels like) never-ending periods of non-production. I could keep going (for a long time), but I choose not to. I choose to look forward. 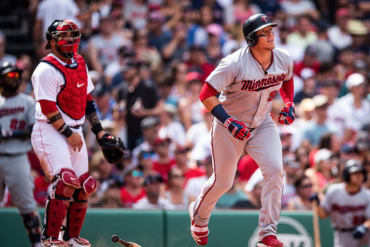 I choose to look around at the rebuilt farm system that rekindles some of those same feelings I had when I saw the young guys come up in the mid-1990’s. I choose to remember that during the last off season the Yankees’ brass decided to not go after high-priced free agents that would handcuff the team for years to come, but instead retain the well-groomed talent that lies in the farm system. The same highly developed farm system that was an essential ingredient to many Yankees Championships. Names like Bird, Judge, Refsnyder, Sanchez, Kaprielian, Mateo, Acevedo, Clarkin, Torrens, Gamel. 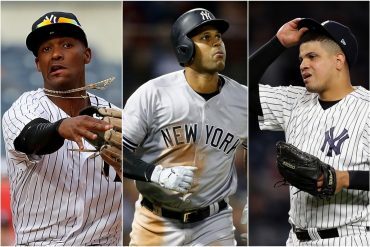 These are the guys that we will be seeing in the not-so-distant future play alongside Betances, Gregorious, Castro, Severino, Gardner and other carefully selected free agents. These are guys that we can get behind and watch flourish as they fight to earn their pinstripes, and give their heart and soul for the respect and admiration of Yankee Stadium. Yes, the Yankees have a great opportunity in front of them. 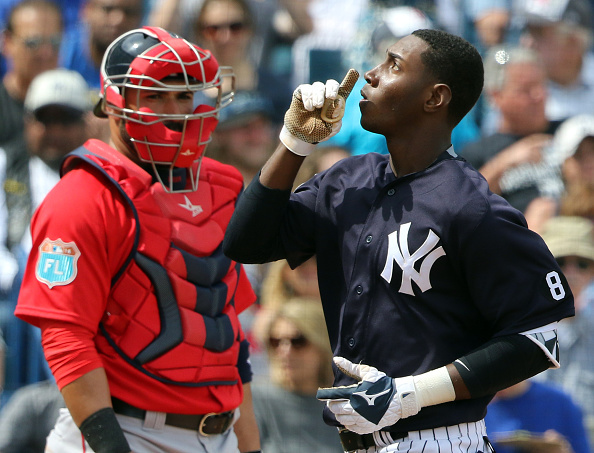 The plan to rebuild the Yankees’ system is working. Many of the aforementioned players on the edge of the Bronx have superstar potential, and if 2016 becomes a lost year, the opportunity for the growth of the Yankees’ future is closer. 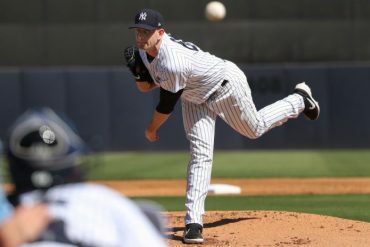 There are many highly valuable assets on this Yankees’ roster that would warrant a significant bounty of young talent from a team making a title run. I do believe the Yankees plan is working. I believe they thought a down year like 2016 was very possible, and that if it occurred, they would be ready (and willing) to take advantage of that opportunity despite the immediate public recoil. Just like during the struggle of the early 90’s, there are players down on the farm sharpening their skills and preparing to take the Bronx by storm. It’s an adjustment for all of us, and some fans have never seen a bad Yankees team; but don’t forget that there is a lot of good on the other side.